This year's Rock Around the Quilted Tree theme is "Blue Christmas. 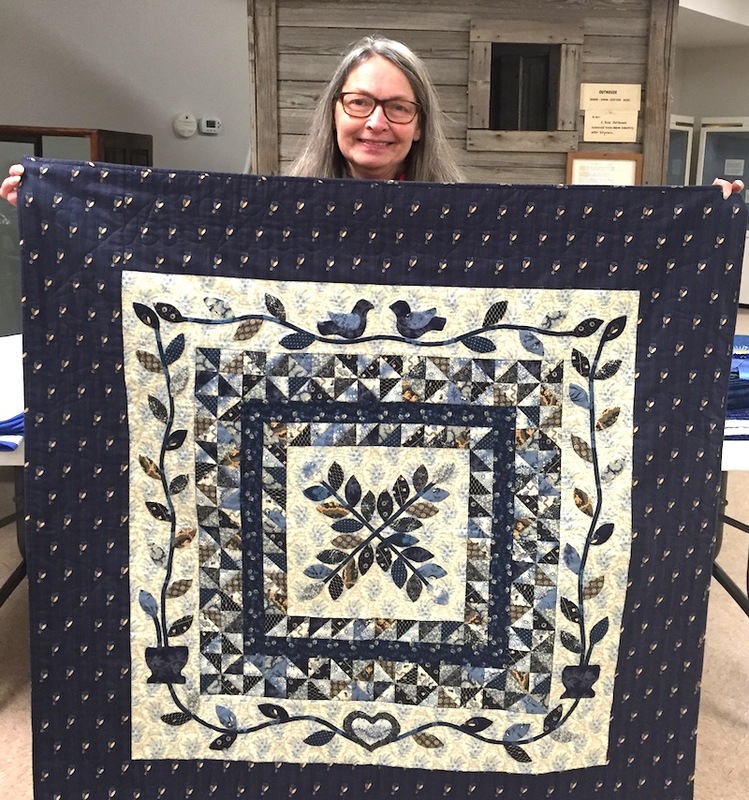 Twenty-one quilts were entered in this year's seasonal show. This year's grand champion was Gail Smith of North Barrington. 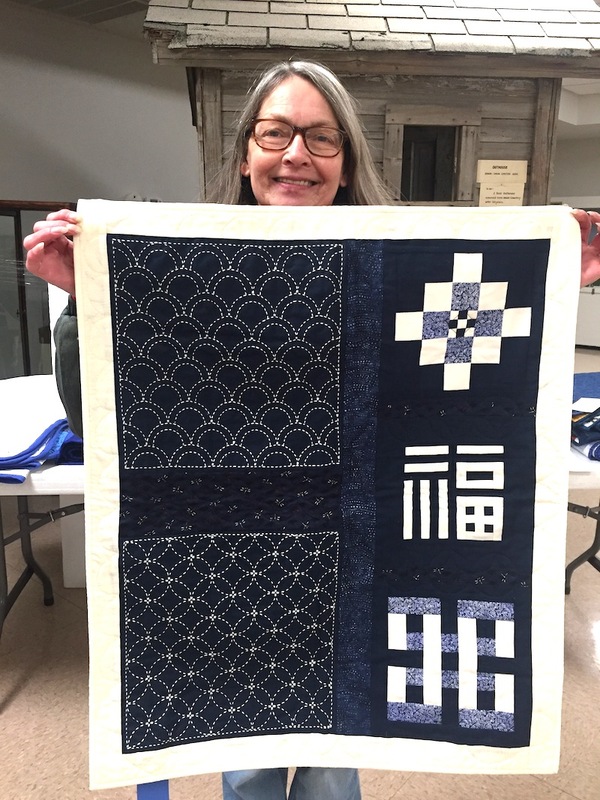 The pattern for her quilt was "Robert's Floral Garden" and she called the blue and white quilt "Delft Garden." 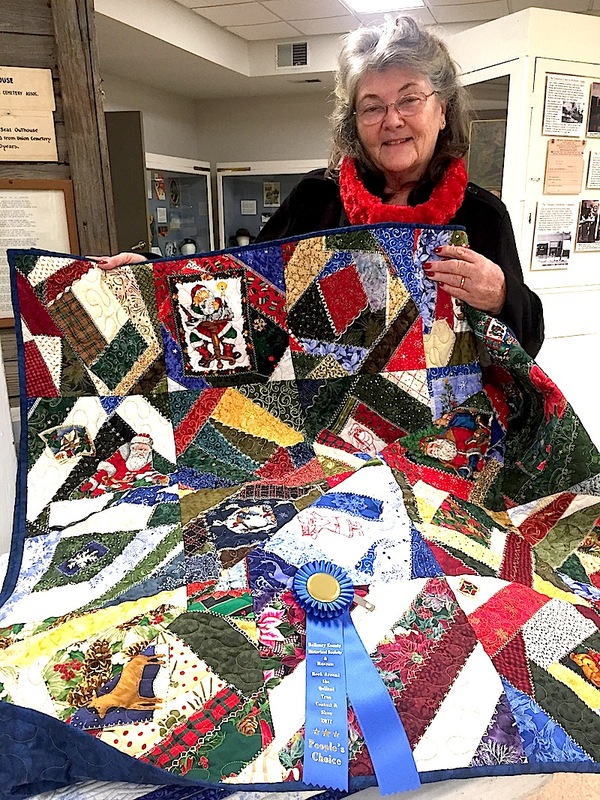 Linda Heidtke of Woodstock earned People's Choice honors for her Christmas crazy quilt. It featured some of great-grandmother's tatted lace for decoration..